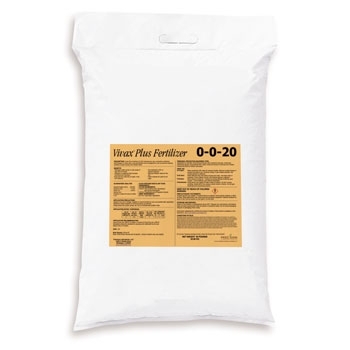 Vivax Plus Fertilizer 0-0-20 combines the new, innovative surfactant technologies in Vivax with a mini-prill fertilizer. It is designed for use on premium playing surfaces, such as golf courses and athletic fields. Lbs. of Product per 1,000 Sq. Ft.
Oz. Vivax Plus per 1000 Sq. Ft.
Lbs. of Nutrient per 1000 Sq. Ft.